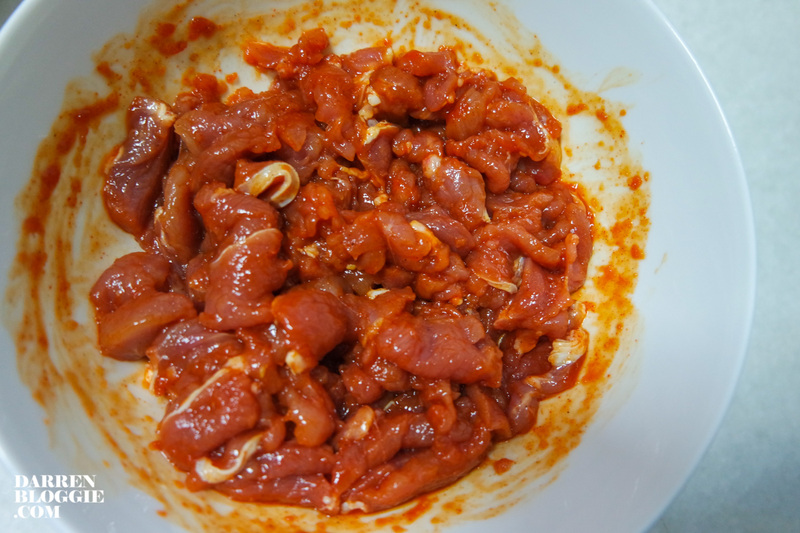 Quantities depends on how much you are cooking for. 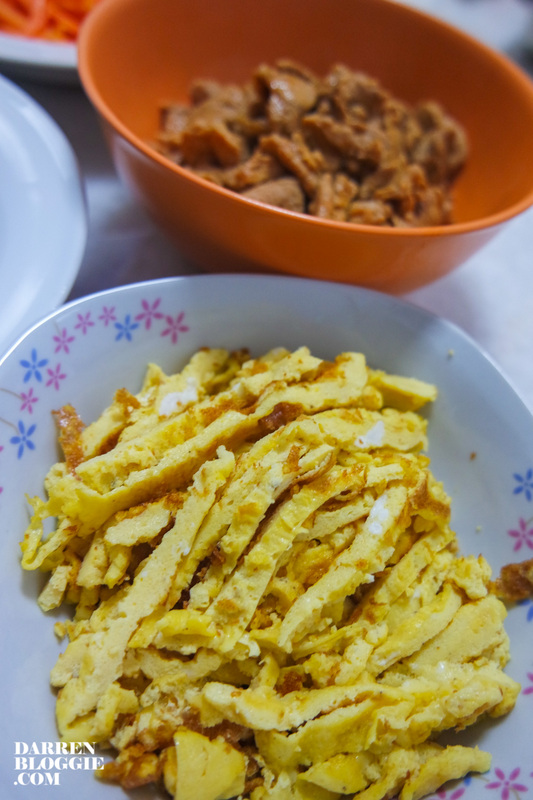 This recipe is good enough for 5 pax. 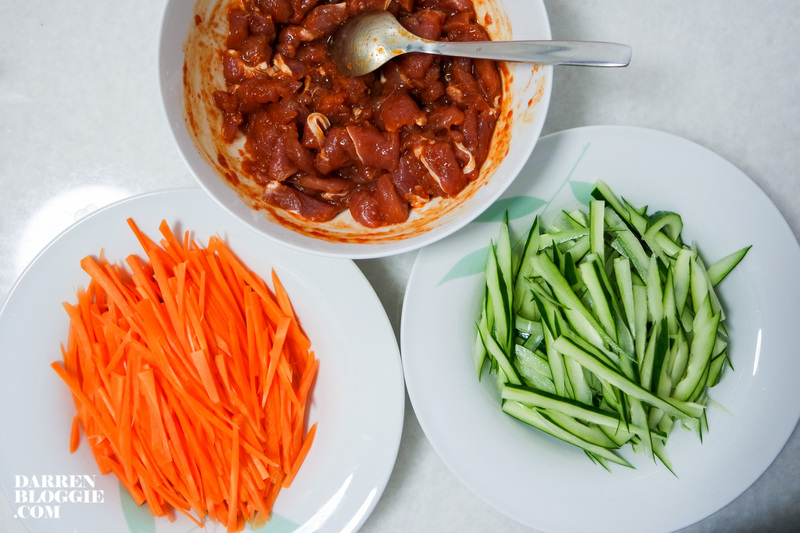 Here are the ingredients that you’ll need. 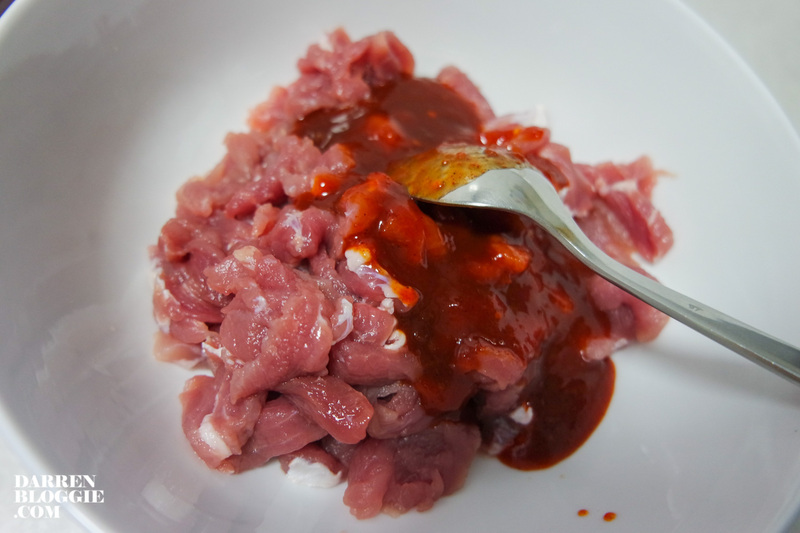 After you’ve sliced the lean pork, add in approx. 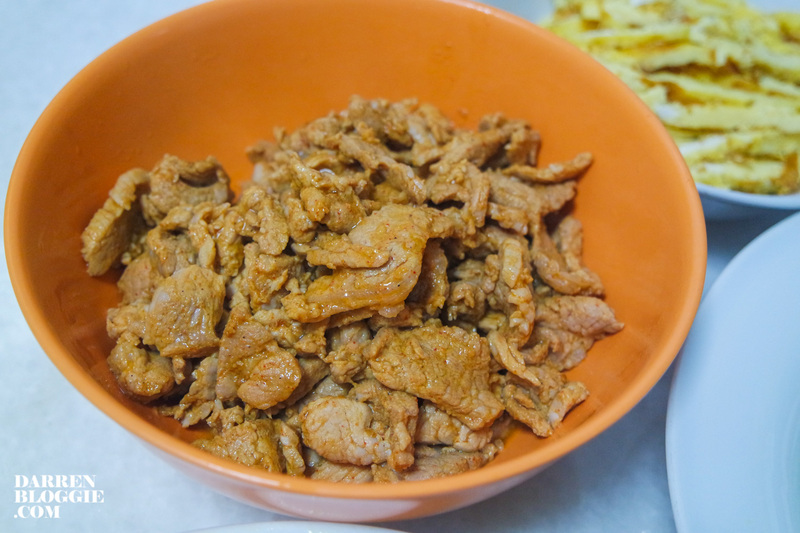 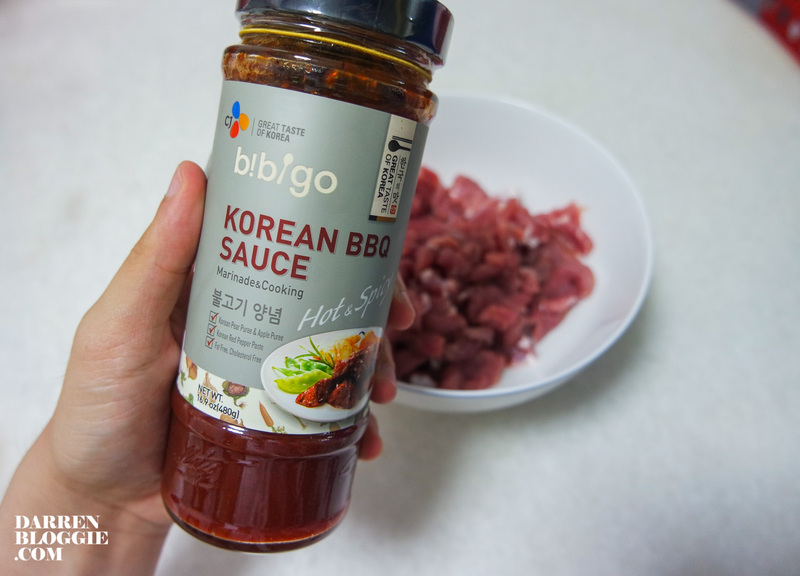 2 – 3 tablespoon of Bibigo Korean BBQ Sauce. 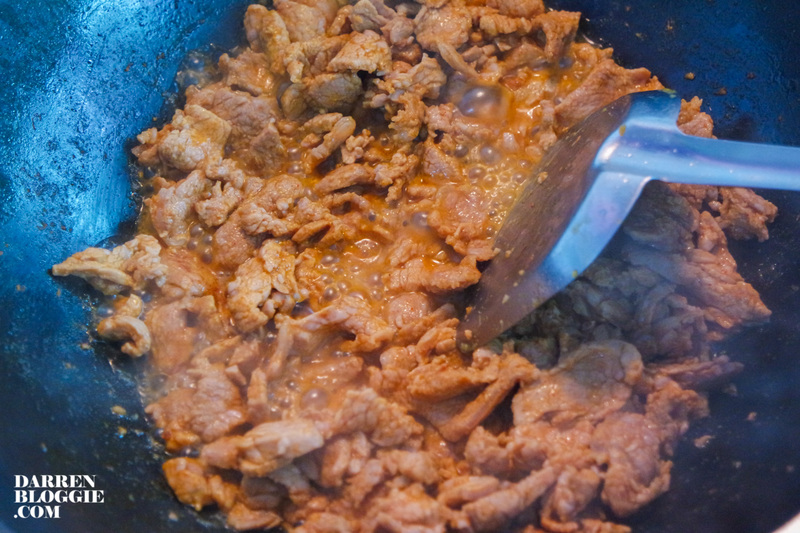 If you like it to be more spicy, you can add in additional one more tablespoon. 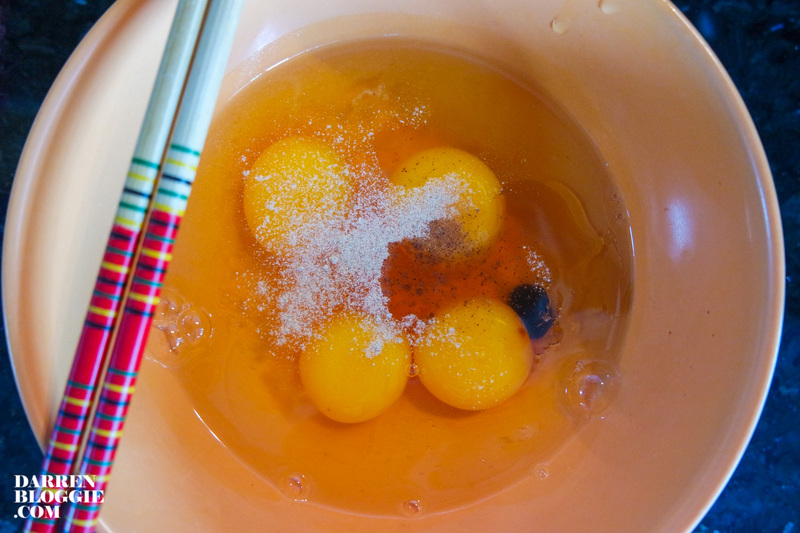 Add some seasoning like sesame oil, pepper and a bit of light soya sauce to the eggs for your omelette. 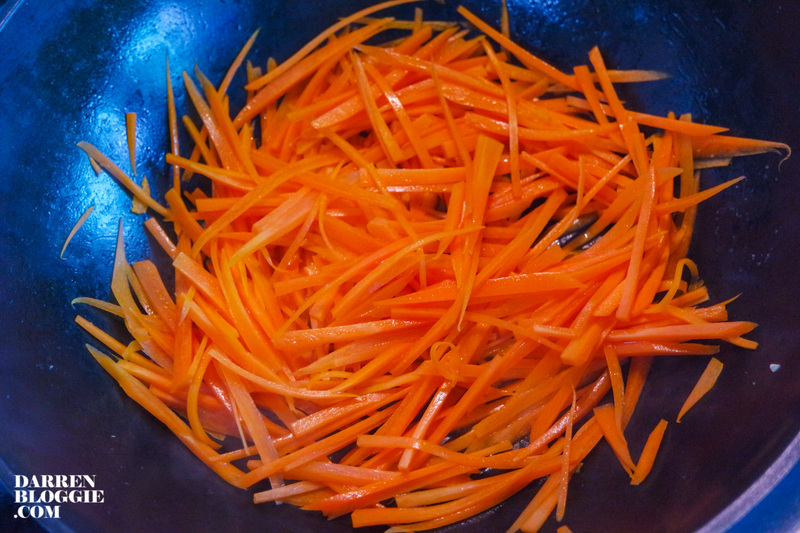 After you have all the ingredients ready, you can start to stir fry them. 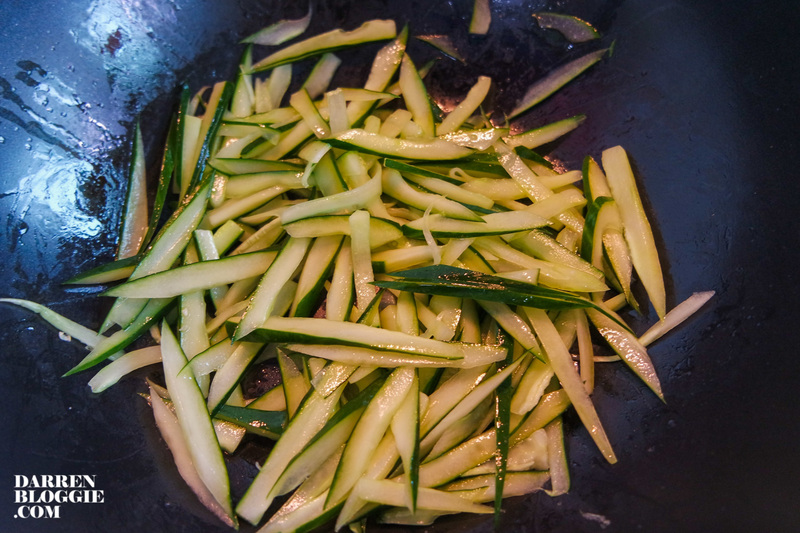 Add a pinch of salt and some olive oil or sunflower oil, stir fry the carrots and cucumbers separately. 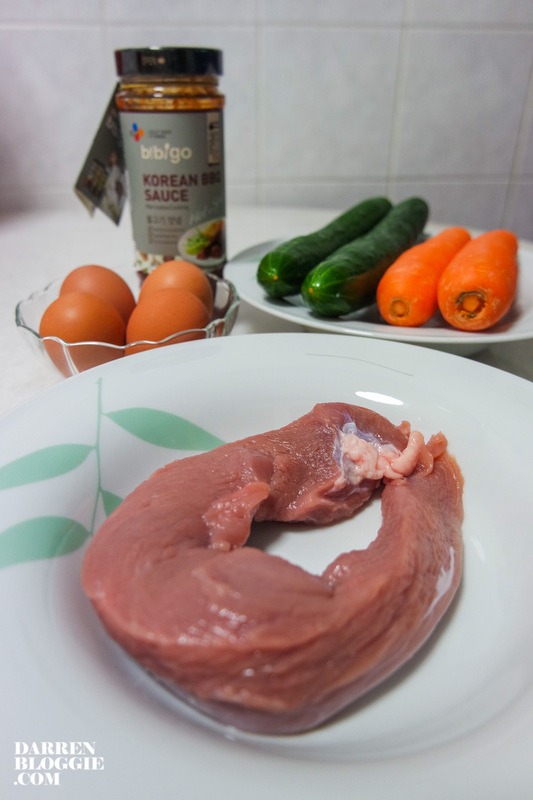 followed by the egg and lastly the meat. 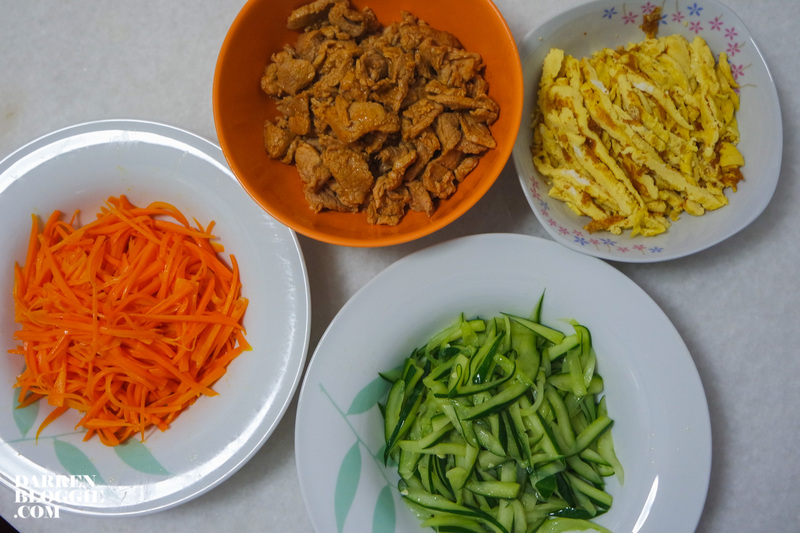 Not forgetting to cook your rice while preparing these dishes. 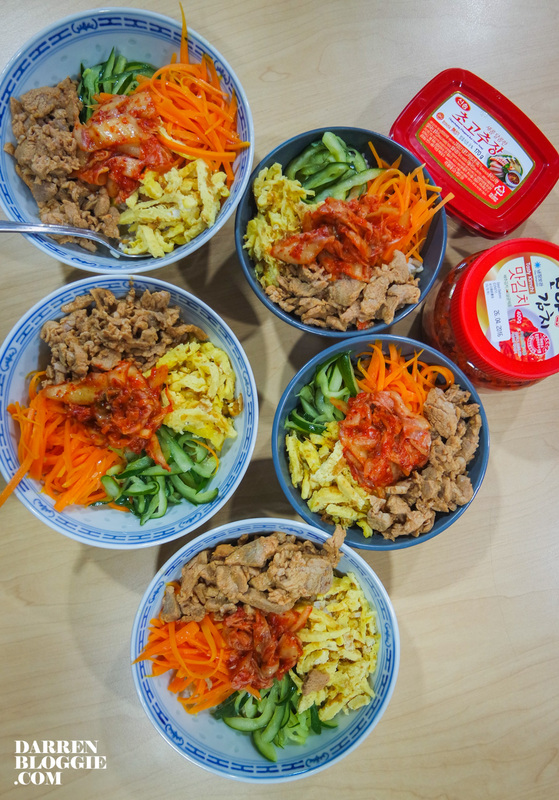 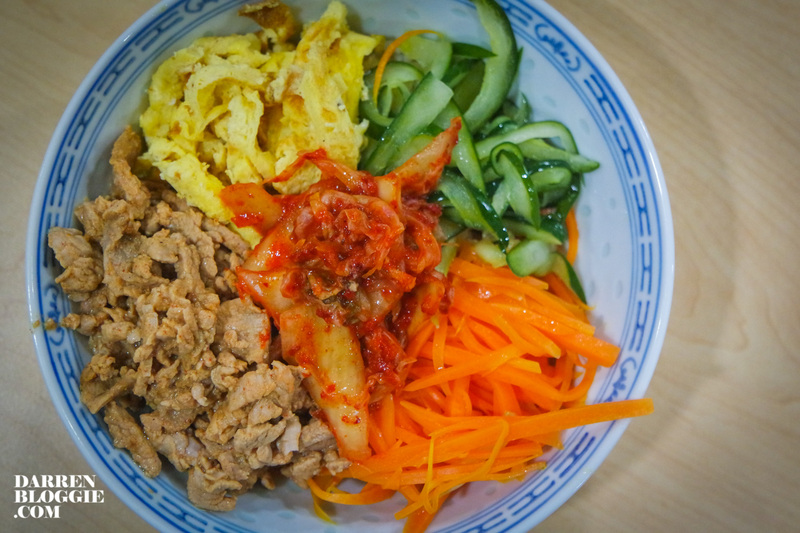 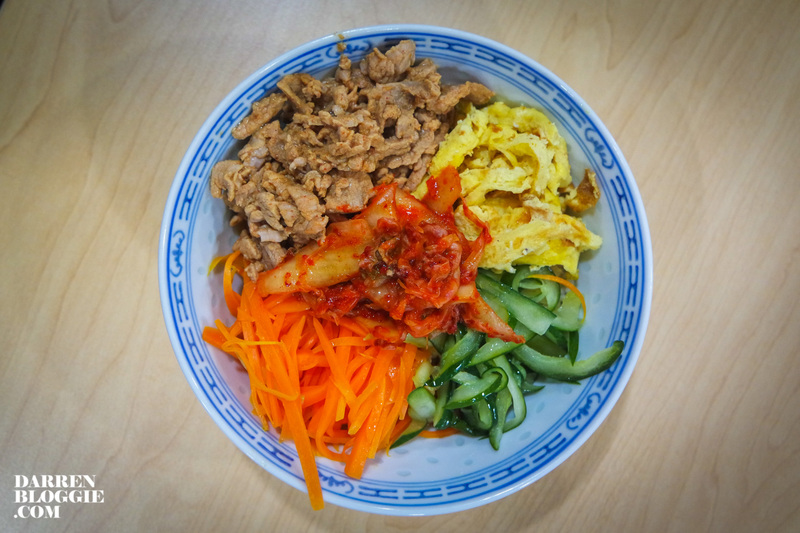 Add some kimchi if you have it at home and tada~ your home-cooked bibimbap is ready to serve!